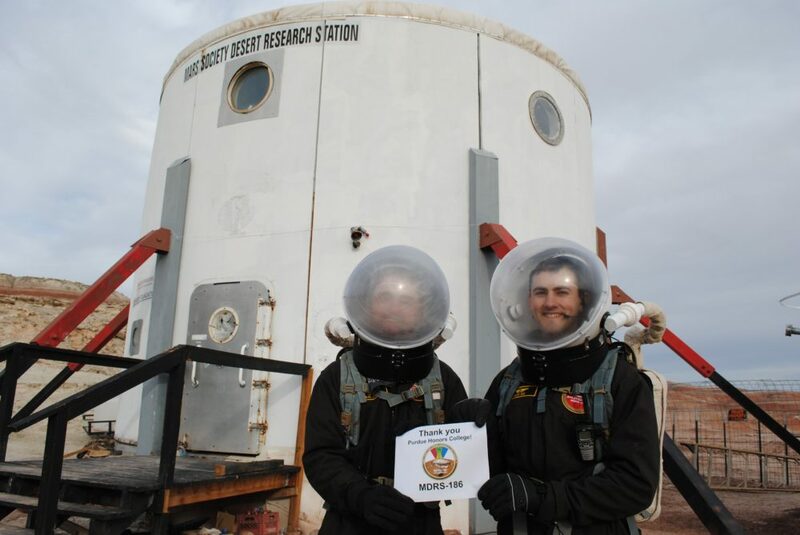 At the beginning of this year, The Mars Society Purdue Chapter sent its first team to the Mars Desert Research Station (MDRS), and two of the seven crew members were also Honors College Students. Seniors Sam Albert and Mark Gee served as Crew 186’s Health & Safety and GreenHab officers, respectively. While their officer roles served as one aspect of their responsibilities on the crew as a whole, they each conducted experiments during the 14-day mission as well. Before diving into details on the work these two individuals completed, it’s important to understand MDRS, its purpose, and the overarching goal of such simulations. According to their official website, the MDRS is a “space analog facility in Utah that supports Earth-based research in pursuit of the technology, operations, and science required for human space exploration.” The campus, located in Utah, hosts scientists, engineers, college students, and interested explorers to partake in two-to-three week “missions” during an 8-month field season. The isolated environment and surrounding landscape make for a very realistic simulation experience, specifically, for Mars. MDRS is owned and operated by the Mars Society, and the Purdue crew applied as a team on the national level through the help of the Purdue chapter. Individuals applied for specific roles with proposals for the additional experiments they would like to conduct. Sam, a member of the Mars Society Purdue Chapter, applied for the crew and was selected as the crew biochemist. 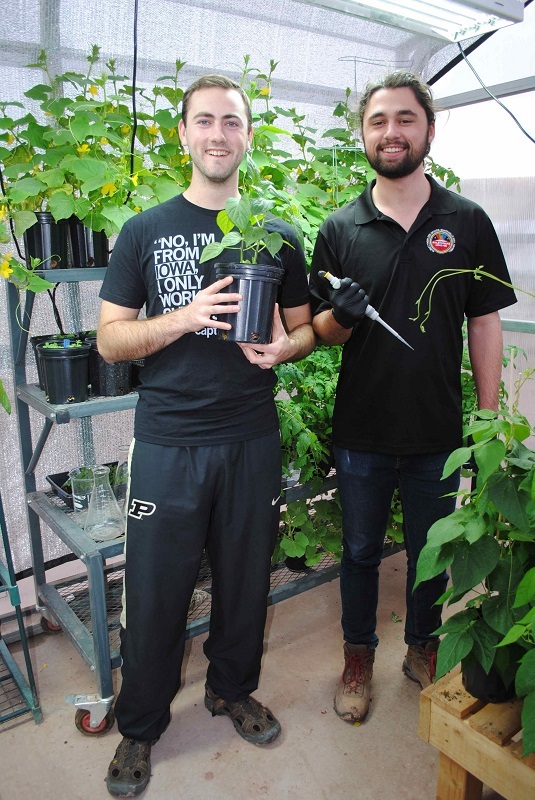 However, the group was in need of someone with a background in agriculture, in order to take advantage of a newly renovated greenhouse space (known as the GreenHab). Knowing of his background and general love of plants, Sam reached out to Mark Gee about the opportunity. When discussing his experience joining the crew, Mark reflected on one of his first visits to Purdue. After months of preparation, the crew finally arrived in Utah to begin their Mars experience. For crew members, daily responsibilities included both fulfilling officer duties as well as running experiments. For Sam, this included noting potential safety hazards, keeping track of medical inventory, and recreating the Gene’s in Space 3 experiment (previously conducted on the ISS by NASA). 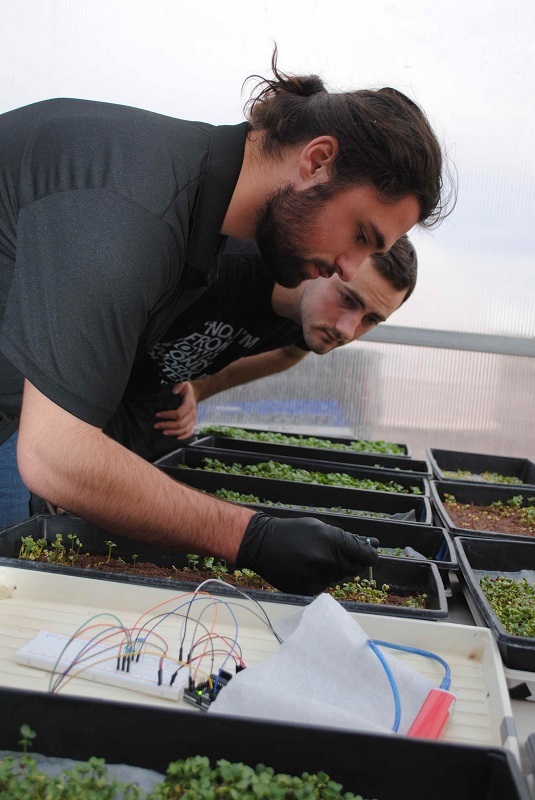 For Mark, this meant conducting several experiments on the growth and use of microgreens on Mars as well as generally maintaining and supporting the greenhouse. And while the science, engineering, and research taking place was important, the participants both agreed that some of the greatest implications of the MDRS are the human factors. Not only does this refer to how the team interacts and works together in such a cramped and isolated space, but it also references the individual’s capacity to manage such an experience. In Sam’s words, “If you can’t survive 2 weeks on fake Mars, you aren’t ready for a 3 year mission on the real Mars.” Many of the crew members have aspirations of one day becoming astronauts themselves. While the MDRS mission was a great learning experience and opportunity for growth for each participant, it very well may have been an indicator as to whether they are truly cut out for the role they’re aspiring to obtain. In both the preparation and execution, Mark and Sam spoke very highly of the Purdue crew members and their ability to problem solve, support one another and function effectively as a team. While Sam compared the experience to being at work 24/7, the team still managed to enjoy each other’s company and complete some “fun” projects. For instance, Mark made the addition of flowers in the greenhouse to brighten up the space. While this was Purdue’s first crew, there will be more crews in the future, and Sam stressed that the Mars Society Purdue Chapter is always looking for future crew members. This opportunity is not exclusively for aerospace engineers, and anyone interested is strongly encouraged to consider applying!